Tajikistan : When and where to go? In the summer temperatures are very high, and the winters are particularly harsh, especially in the mountains. It is the intermediate seasons which are the most favorable to visit Tajikistan: from March to May it is mild and it is the good time to discover the south because elsewhere the rains are quite frequent. It takes a visa to enter the territory, which can be obtained upon arrival, and which is valid for 30 days. The current currency is the Tajik Somoni (TJS). Budget: it is possible to spend less than 30 € per day if you stay with the inhabitant and if you restore in the houses of tea or the markets. Double the expense if you choose an average hotel and decent restaurants. Health: There is no compulsory vaccine to enter Tajikistan, but it is advisable to have its vaccines against hepatitis A and B, typhoid, tuberculosis, meningitis and diphtheria. It is also imperative to protect against the mosquitoes that are the essential vectors of risky diseases. 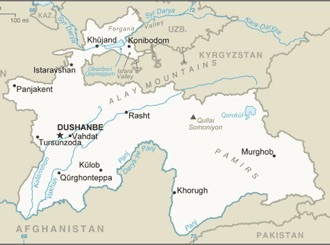 Security: Tajikistan is a safe country, but there are some sensitive areas: some mines and unexploded shells remain on a small part in some remote places, so avoid. Drink spring water and not tap water. For hikers, watch out for mountain sickness, take precautions to progress slowly in atltitude.